Our group finished another one! 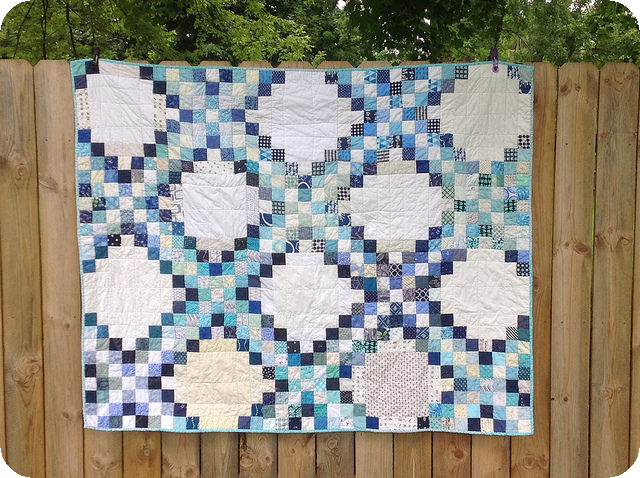 This one was designed and finished by Kat of Kat and Cat Quilts. 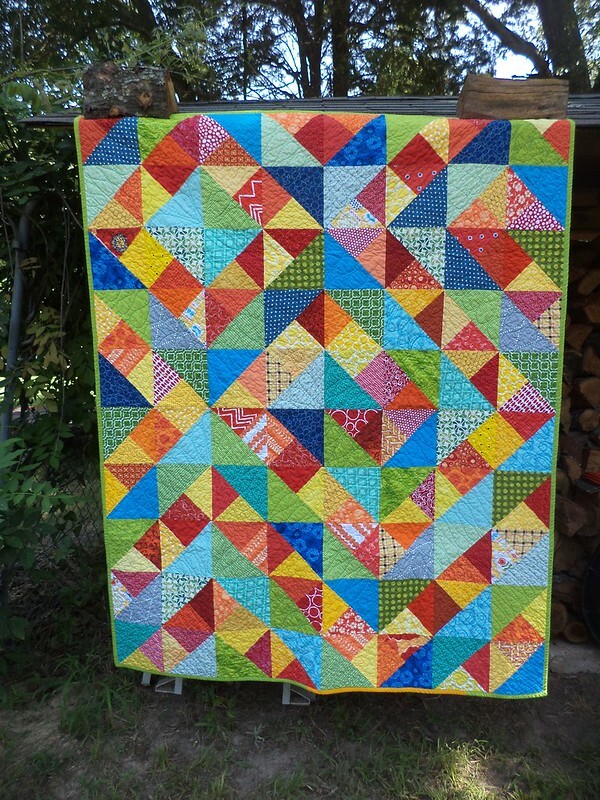 Kat calls this quilt Hot and Cold! Get it? Do you see the pattern? A minute ago I took a look and didn’t see the pattern, but every other time the Hot and Cold, red and greens/blues is all I see! 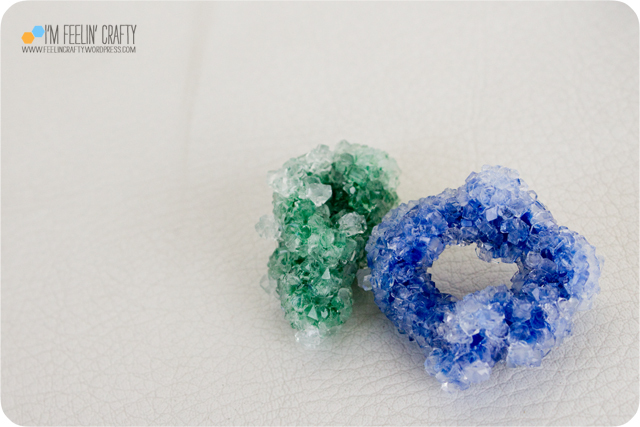 I love the spiral effect color can play! Now when you look at just mine hanging out on their own, you can’t miss the pattern! 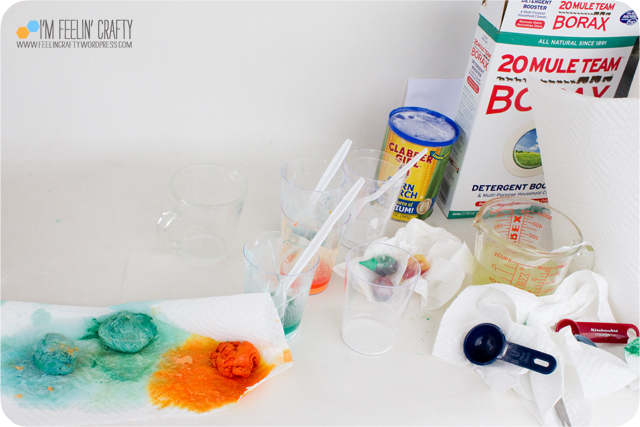 I used solids for the green and blue and prints for the reds and yellows side! 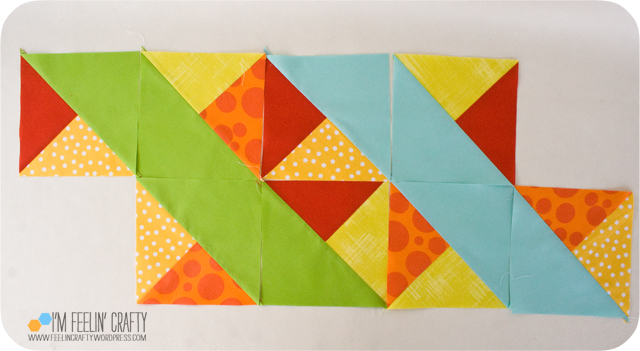 You can get the tutorial for making these blocks over on Kat’s blog, here. It is so simple! 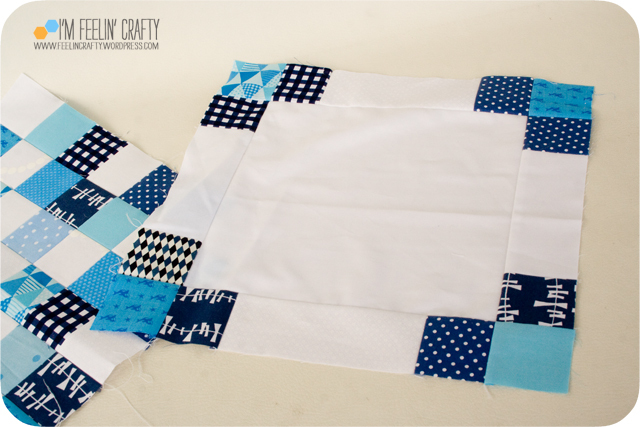 I think this one took longer to find the fabric than to sew the fabric together into blocks! 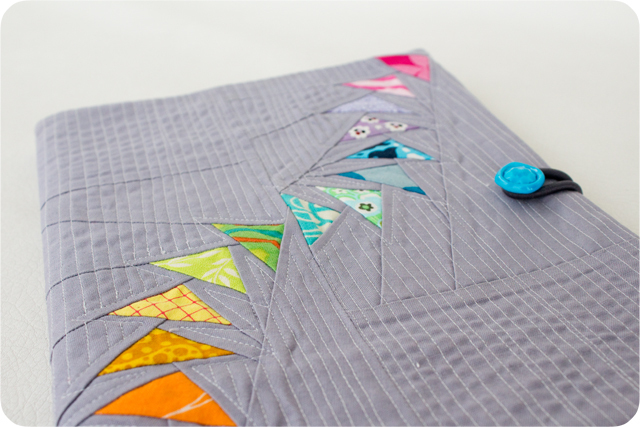 I like how she used the free motion quilting to further emphasis the Hot and Cold pattern! Our group has decided to switch charities. Kat has started a charity in her area for terminal ill patients and thier family. Be sure to learn more about Covered in Love! Notebook Cover Swap at the PNW MQG Meetup! 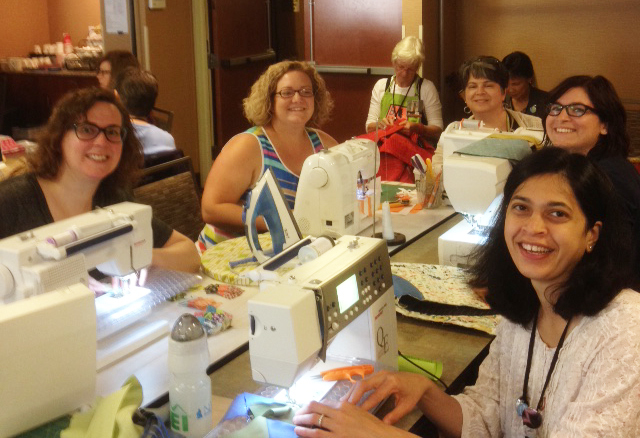 This last weekend, my modern quilt guild, the Seattle Modern Quilt Guild, hosted a great meetup for all the ‘local’ chapters! We had a blast! 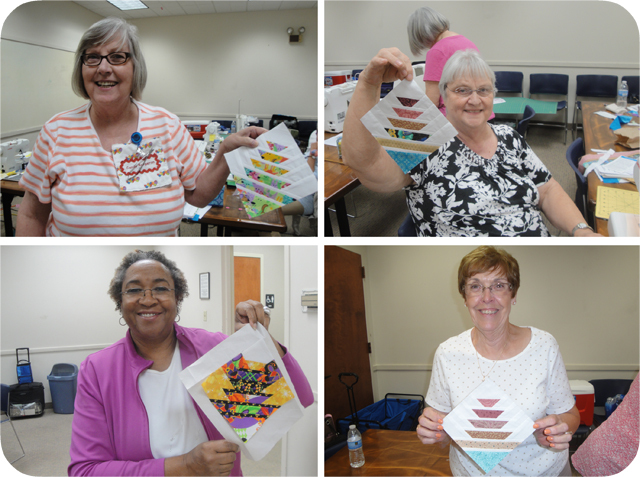 It was like a mini retreat hanging in town with my quilting buddies. There was a picnic, a mixer, a shop hop, and an all day sew-in. The sew-in was my favorite! 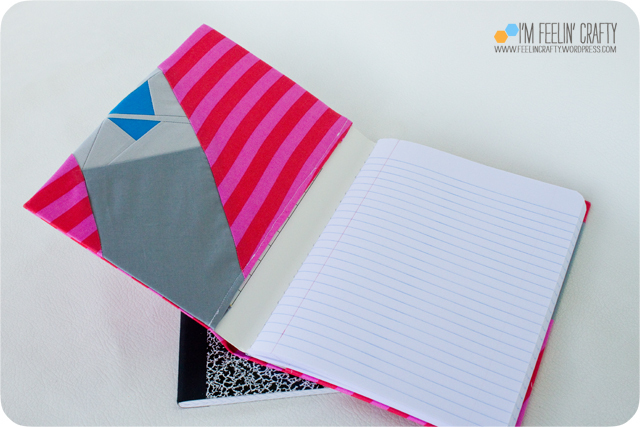 Oh, and there was a notebook swap! 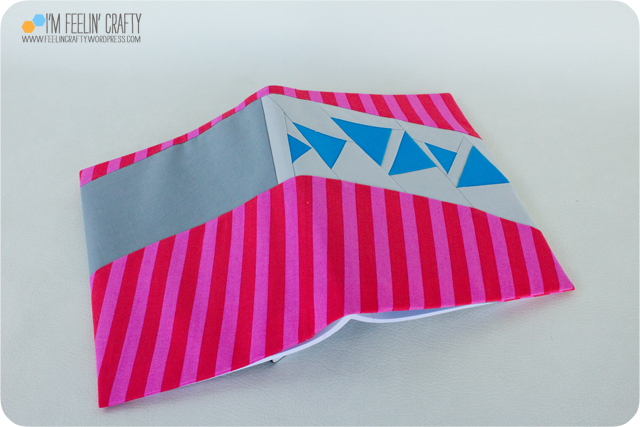 I totally did not read the directions and didn’t realize we were supposed to quilt it! OOPS! I thought about quilting it, but didn’t want to add batting. 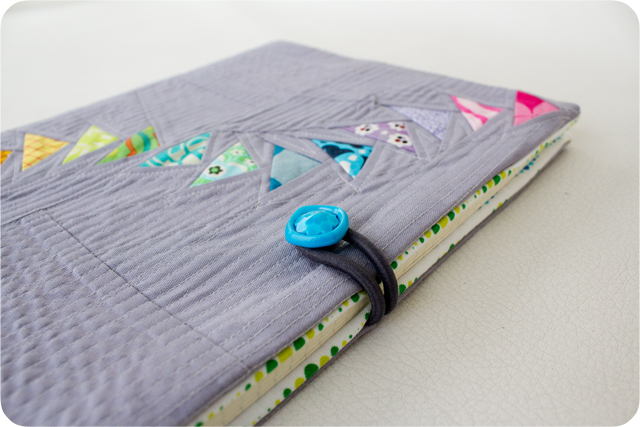 I even had the quilting design figured out in my head. 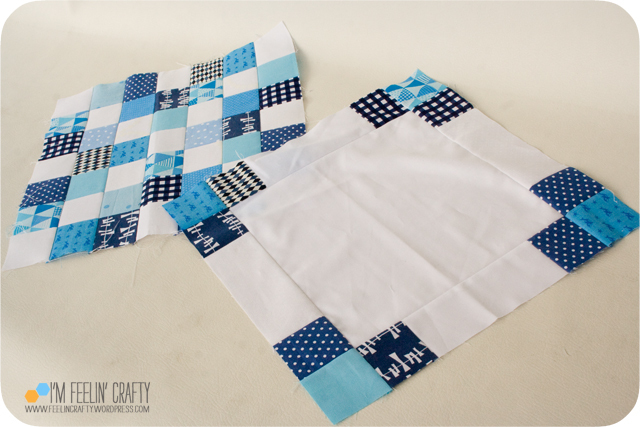 But why I didn’t think about quilting without the batting I don’t know! I can only say, maybe I was too tired to ave been sewing that night! I started out with a block I had made for my Technicolor Galaxy quilt. I made it for the quilt and then decided to go in a different direction, so I saved it. Then decided it would be great for the notebook cover! 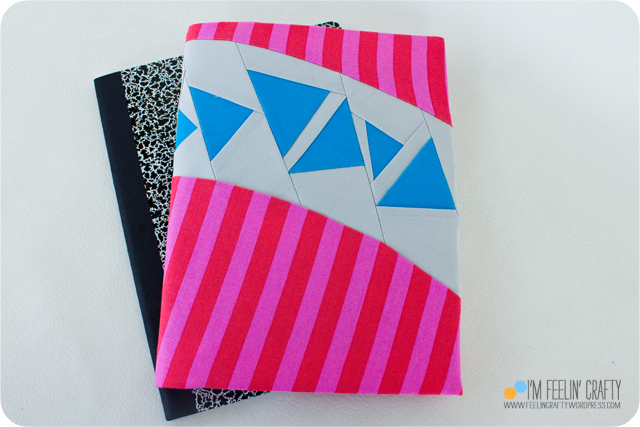 Added a couple more curves that go across the front and back in fold over into the insides of the cover. 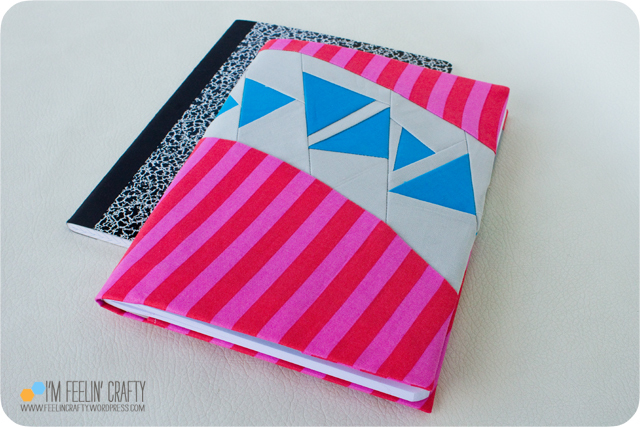 I love Debbie’s notebook covers, so I went to use her tutorial, only to find out that she uses Rachel’s tutorial! Super easy! At the swap, I was super nervous about who would get my unquilted cover… And then actually, my friend Rachel, ended up with mine! She says she actually prefers them not quilted. Perfect! I’m hoping she wasn’t just being nice! And then I got mine! LOVE IT! 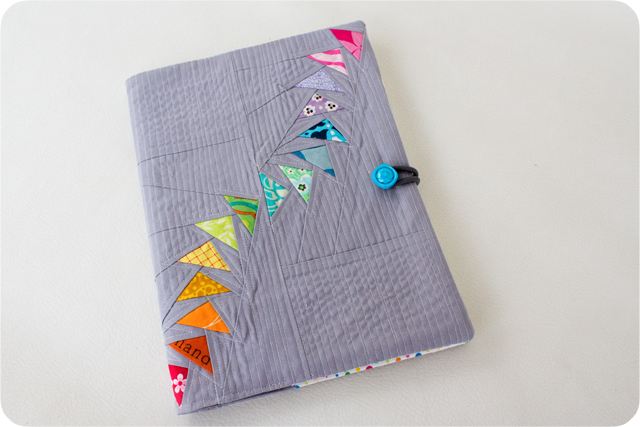 And it is actually quilted! As you may have noticed above… I do like those flying geese! And how can you not love little bitty flying geese???? And the super cool button closure! My son saw this one and immediately asked for one of his own! So, just wait for Christmas everyone, I think I might have some ideas…. The meetup was such fun! We had a great table with Debbie, Rachel, Rachel and Becca! 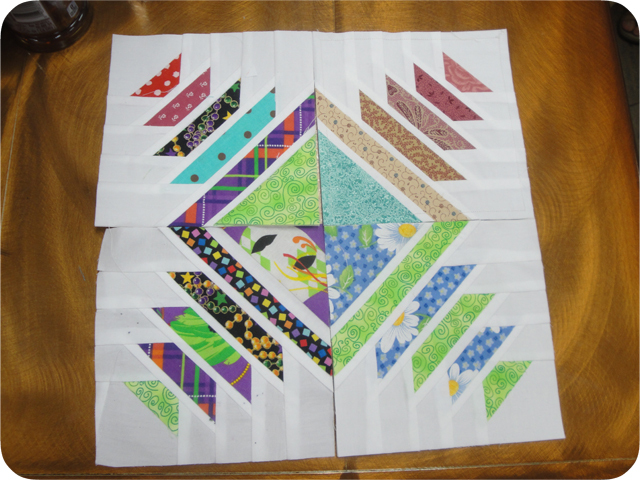 It took all day but I finished three paper piecing blocks for my Nurture circle of do Good Stitches! Ok, so I guess it didn’t take all day. 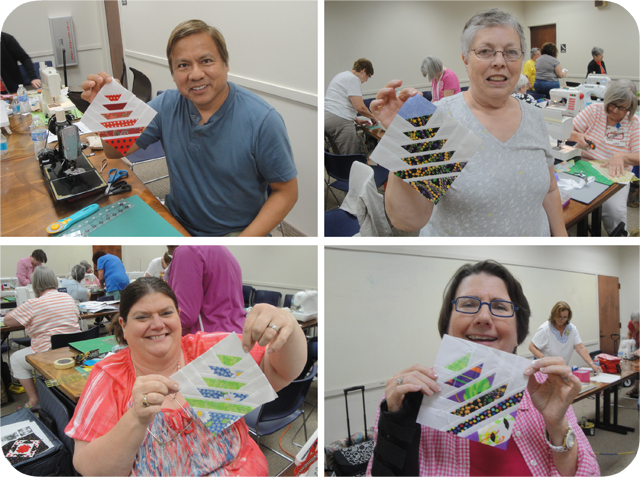 We did take breaks for a little pop-up shop action with Island Quilter and some food. And dinner was quite a learning experience. Waiting for an hour and half for dumplings! And being amazed at how many other people waited that long too!! They were worth the wait, thank you Rachel! 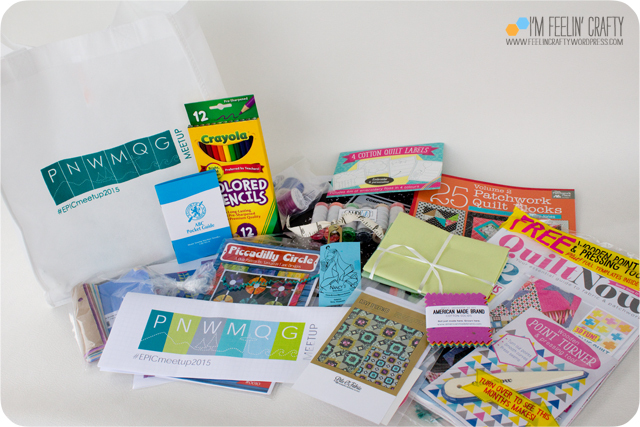 And who doesn’t love a big bag of swag!! Hello, Hello! 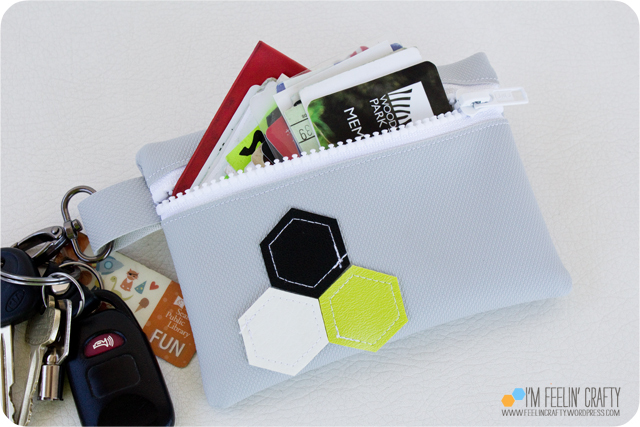 Today I’m over at Busy Being Jennifer with a tutorial for a quick vinyl wallet! 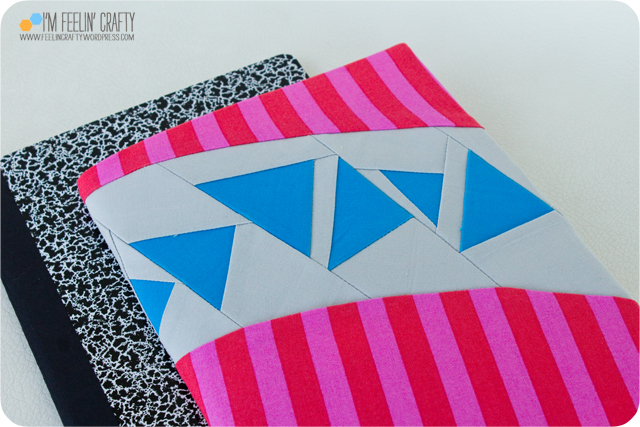 Be sure to check it out and all the other tutorials in her 101 Handmade Days series! We were very sad… Today I present another installment of Pinterest Try Tuesday, but this week we have a Pinterest Fail… Sad…. 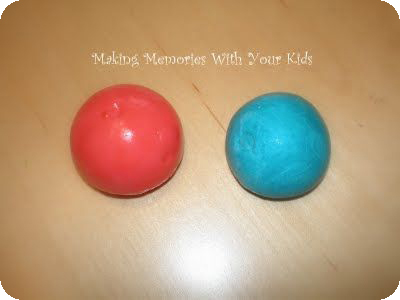 This week we decided to make super balls. Which I think are the plastic balls that bounce. We weren’t completely sure, but we decided to try it anyway. 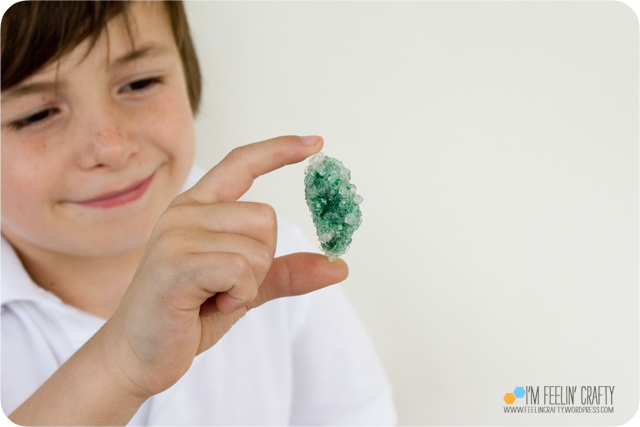 We followed the tutorial from Making Memories with Your Kids. Check out the original tutorial for the details (because you don’t want to follow mine if it’s super balls you are looking for!!) Her’s look amazing! Ours…. Not so much! 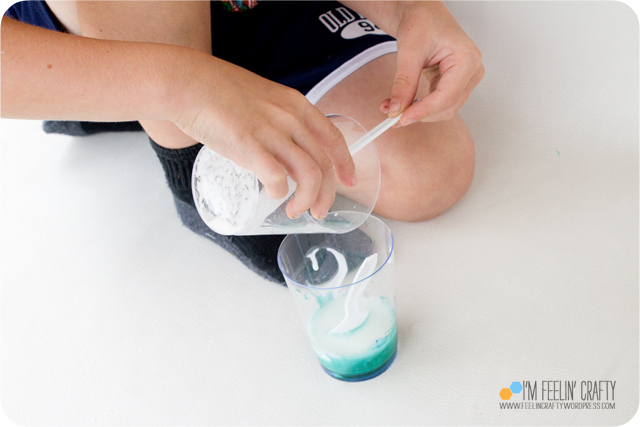 The tutorial calls for glue, food coloring, borax, cornstarch and water. All the materials we had at home, so luckily this was a free one for us! We seemed to follow the directions correctly. 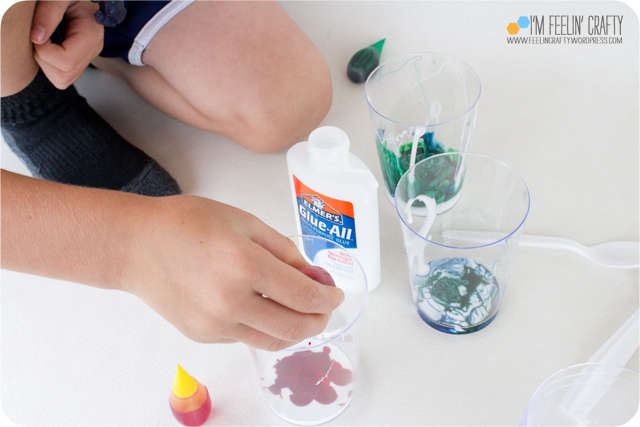 First we mixed the glue and food coloring. Then we mixed the cornstarch, borax and water. And we mixed the two concoctions together. Still following the directions to a tee! 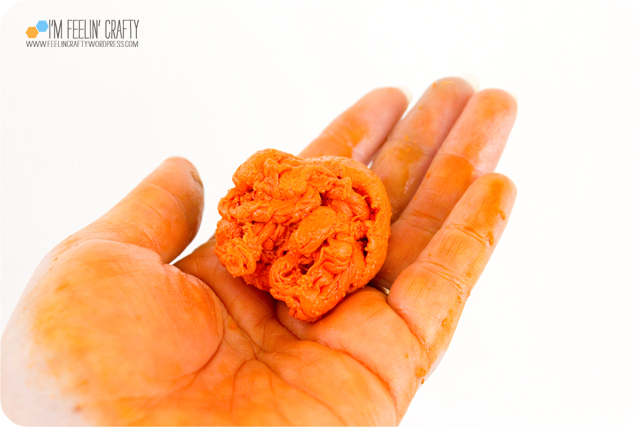 We pulled out our goo. Looks pretty much exactly like Making Memories goo…. 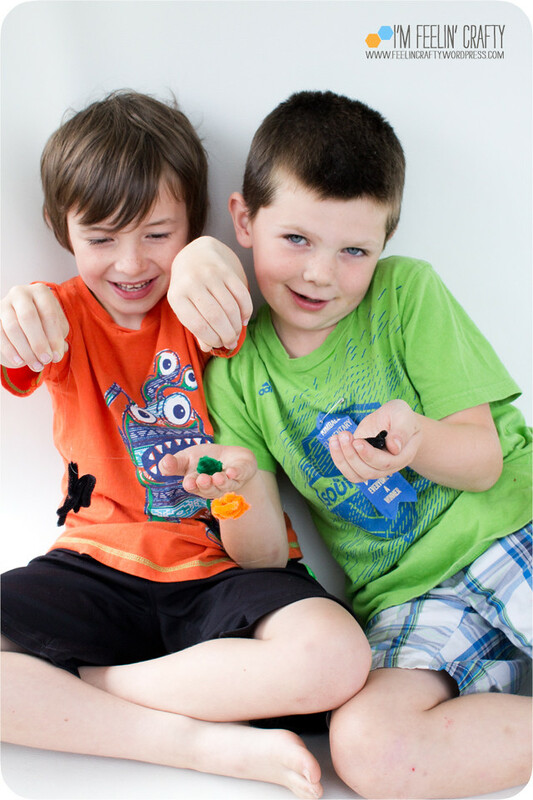 Then we started to roll them into a ball. And we rolled. And we rolled some more. But they never really changed into a ball. 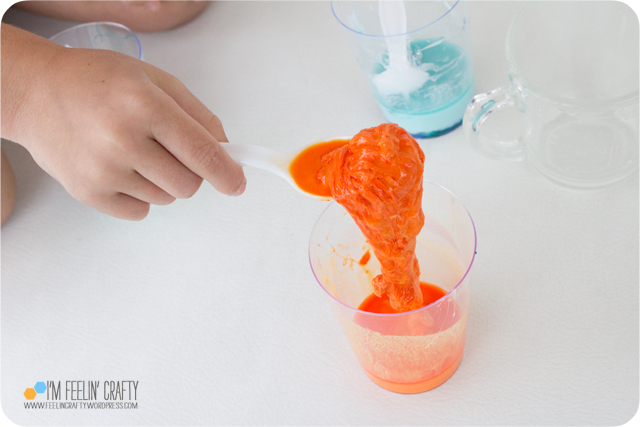 Now if you are looking for a way to make brains for your halloween party… This would be great prop! It even felt kinda like brains. 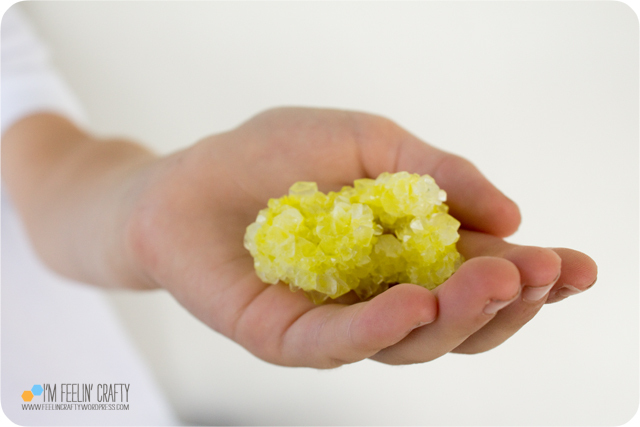 Or how I imagine brains to feel like, since I’ve never actually rolled brains around in my hands…. So we called this a fail and cleaned up the mess! I saw this done on another blog, following the same tutorial, and it worked for them. I have no idea what I am doing wrong. I want to give it another try, but I’m on my own. The kiddo is done with it. 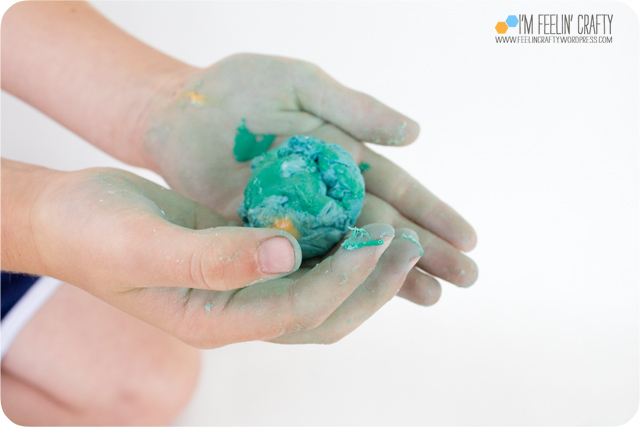 For a little boy that loves making art, he does not like to get very gooey! If I have better luck next time, I’ll let you know! Have you ever tried this? Did it work? If you see I did something wrong, please let me know! The Inside Out Pineapple- Out and About! 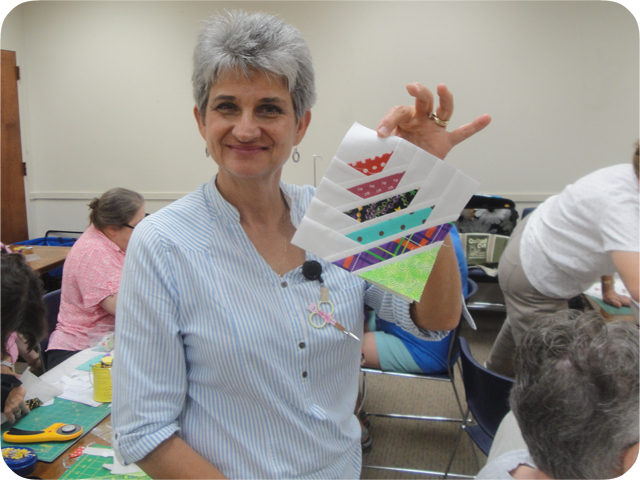 Not long ago I was contacted by the Gulf States Quilting Guild contacted me for permission to use my Inside Out Pineapple block to demo paper piecing at one of their meetings! Honored, I, of course, agreed! Look how happy she looks with that awesome block!! I was so excited to see the pictures from their meeting, that I asked to share them here. I am so happy to see smiling faces with their blocks! But…. I was told that they weren’t all smiling the whole way through! 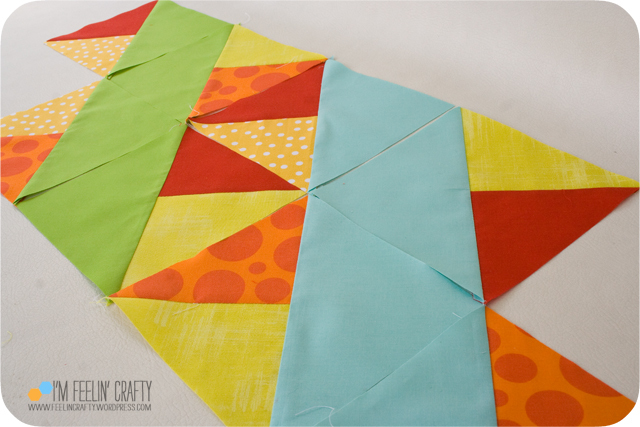 Some had experience with paper piecing, others did not. And paper piecing does take some getting used to! But at least they were happy in the end! 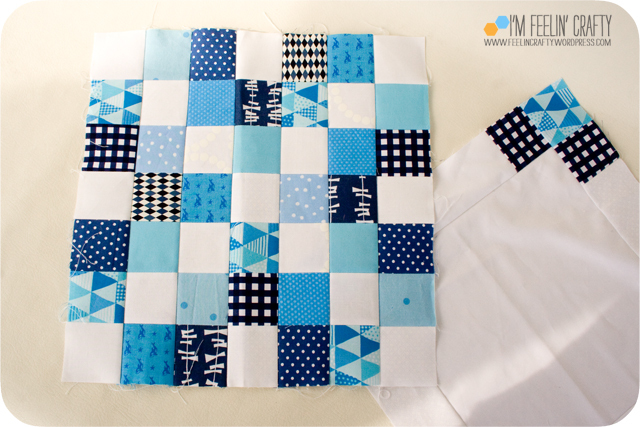 You know me, I do mostly solids… So it was really cool to see the block all put together with prints. It looks great both ways! I had no idea how much response I would get from this block! It’s been crazy! If only I had charged a dollar for the pattern, I’d be rich! Just kidding! kinda…. I love it, but just am floored by how much everyone else does too! You can download the pattern here. 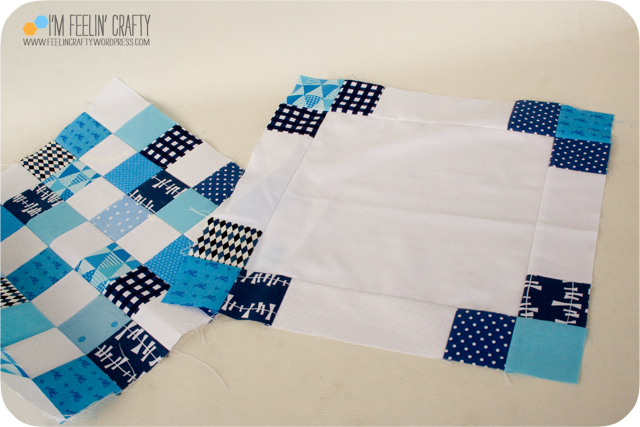 I have a quilt coming up using this pattern that I can’t wait to finish and share! This week I gave the boys a choice. 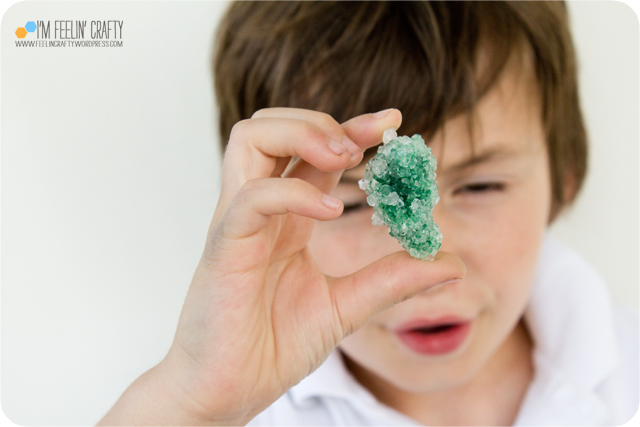 We skimmed through my pinterest board, Fun For the Kids, and they decided to try the Handmade Geodes! 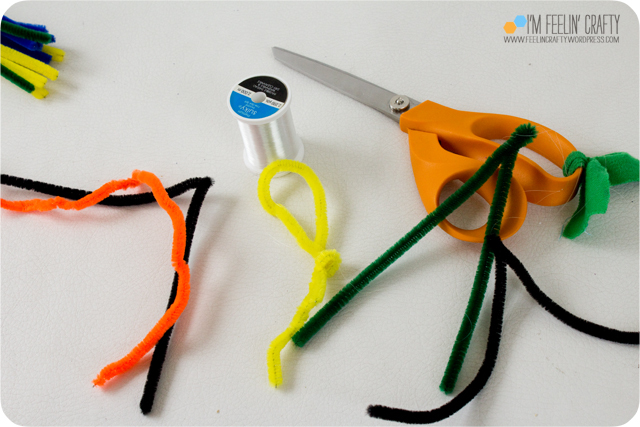 The original tutorial for this project is from the Dollar Store Crafts blog. And it’s a pretty good tutorial! We followed it pretty closely on the first round, but had to make some alterations for the second round! It’s a great and easy project! It only takes a few minutes to get it set up. Then the waiting and the watching begins! We made one batch and another friend wanted to try, so we made batch two! 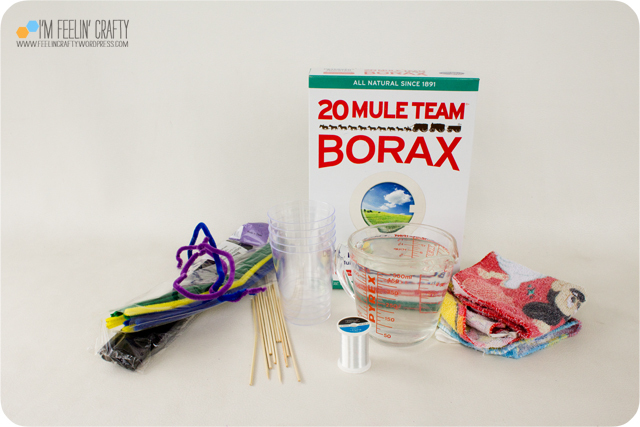 I had all the materials except for the Borax. 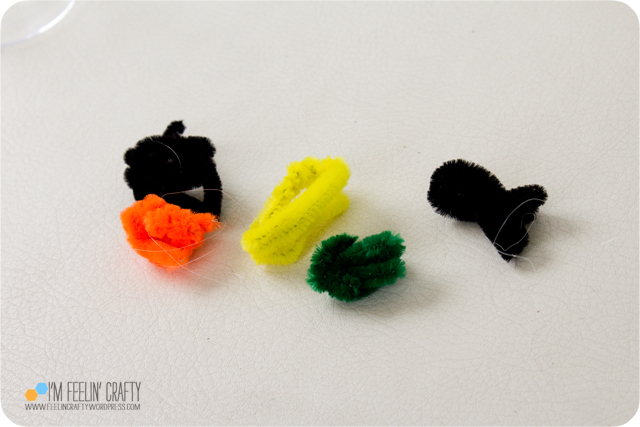 We used regular pipe cleaners, but supposedly it works with metallic pipe cleaners even better. 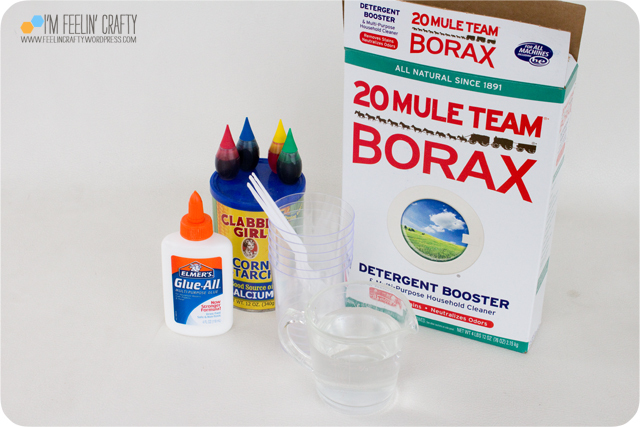 I also got nervous about using our drinking glasses for the Borax mixture, so I used plastic cups. 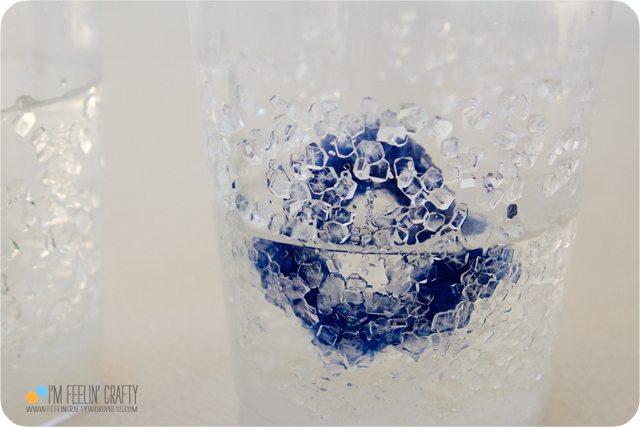 If you use plastic cups, make sure it’s a pretty heavy plastic, because you will be pouring boiling water into them! Then you’ll also need some sort of string, I used clear thread, skewers, wash clothes and boiling water. 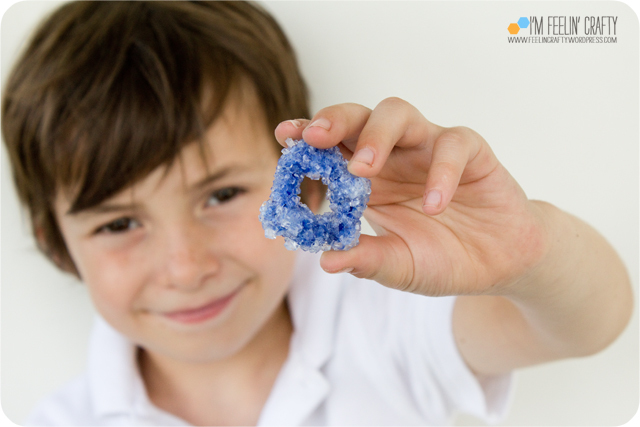 To start, we tied the thread around the ppe cleaner and then balled up the pipe cleaners. The boys had way too much fun with this! Although our friend did wonder why we were doing this outside with my white background and why I was taking soooo many pictures! This is the parent step! Boil water. 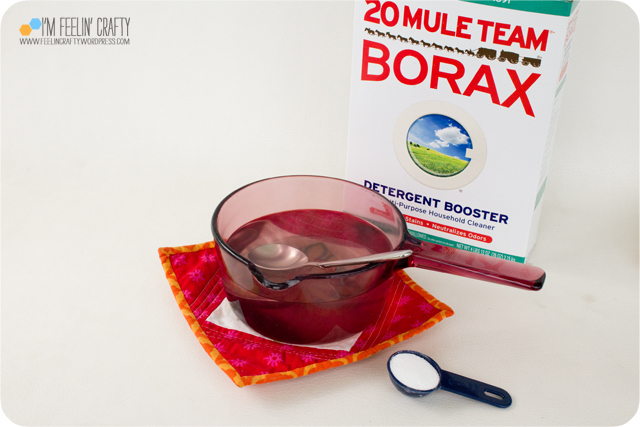 Once it’s boiling add the borax. The original directions called for about 3 tablespoons per cup of water. 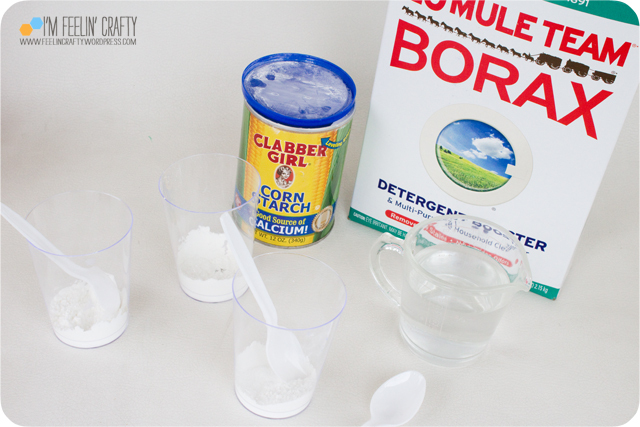 I recommend about 5 tablespoons of borax per cup of water! 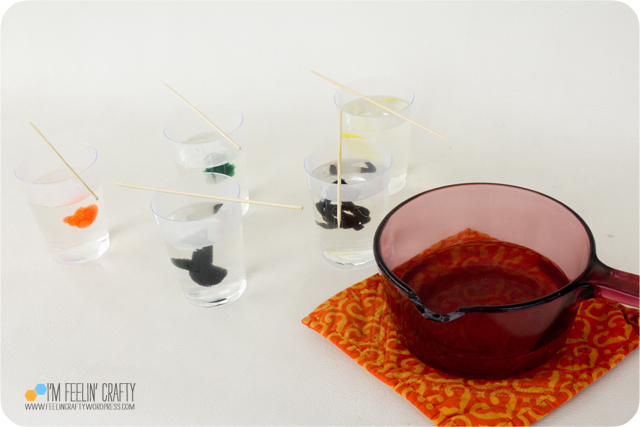 Then pour the water into the cups to cover the pipe cleaner balls. Cover and wait! In about 5 hours they will start to crystal. But we left overnight. Some we left even longer than that! 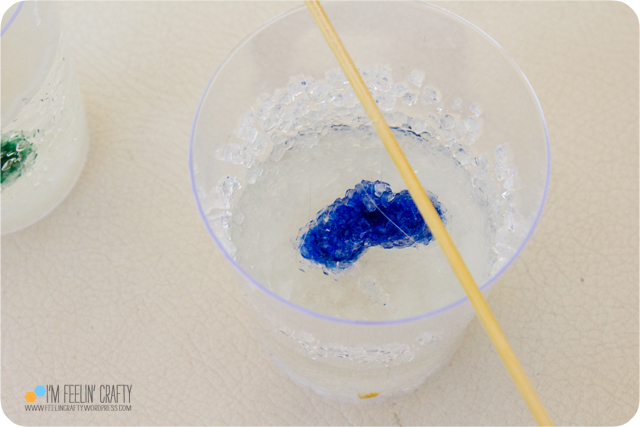 We ended up with more crystals on the cup than on our geode, but the second batch with the extra Borax totally helped getting more crystallization! 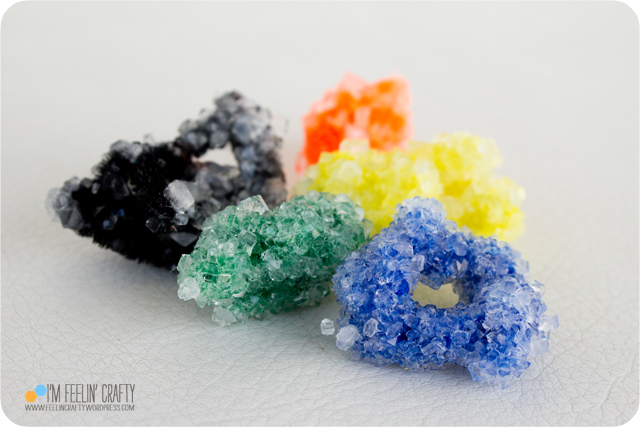 Our favorite geode is the very rare donut geode! The blue and the green are the best. The results of the 5 tablespoons to one cup batch! This is the result from batch one, 3 tablespoons to 1 cup. 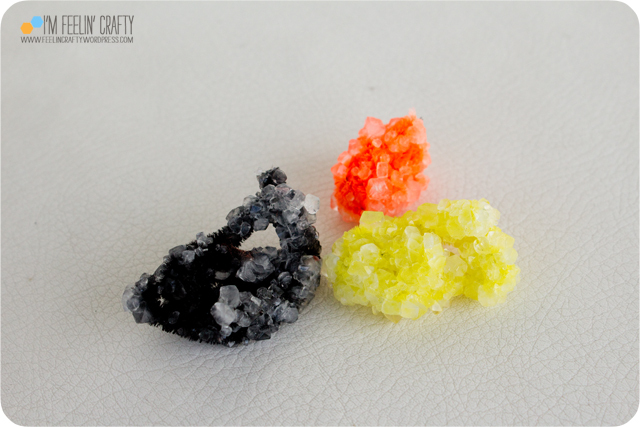 Not a very good coverage of crystals…. They look good from one side. But the other???? Well…. Not so much…. I don’t know about you, but we’re having a great time with this little Tuesday series! 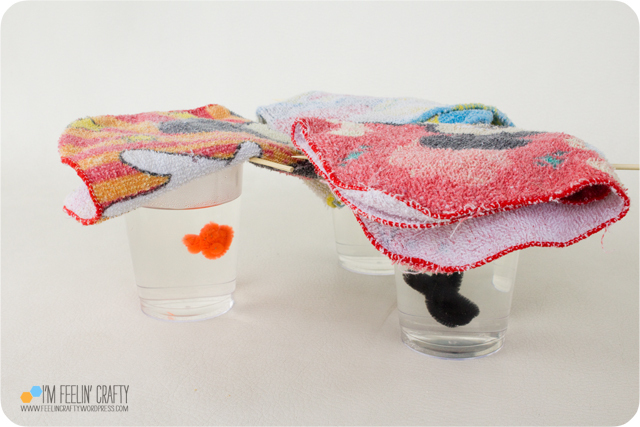 It’s been fun seeing if these projects really work (I’ve seen those Pinterest Fail photos!)! I wonder what we’ll do for next week??? hmmmm…. If you have a project you want us to try, let me know! We’ve got another one! Another group effort by the Nurture Circle of do.Good Stitches! 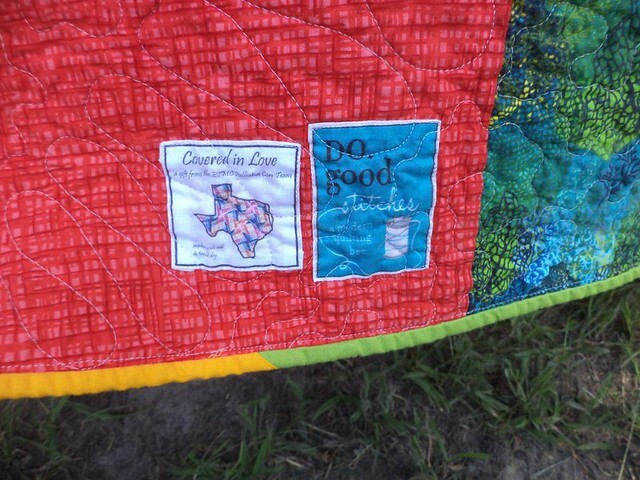 This quilt was coordinated by our quilter, Dhia of The Peach Patch. This month she chose to have us do a Triple Irish Chain and even wrote up a tutorial so we’d all get it right! 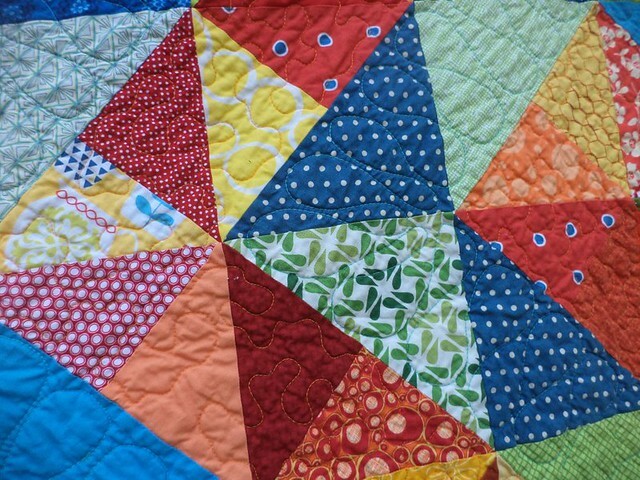 We each did two blocks for the quilt. One block was the white center pieces. Super easy! The second block was a little bit more time consuming! 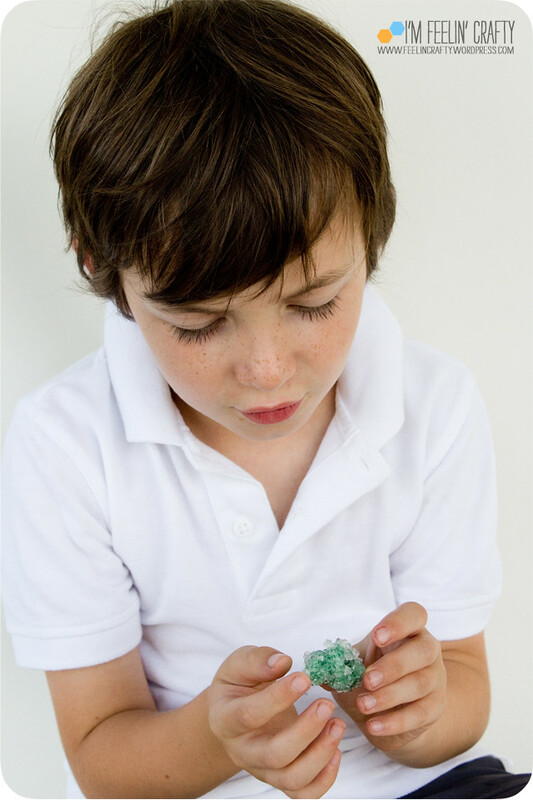 Not harder necessarily, just more pieces equals more time! 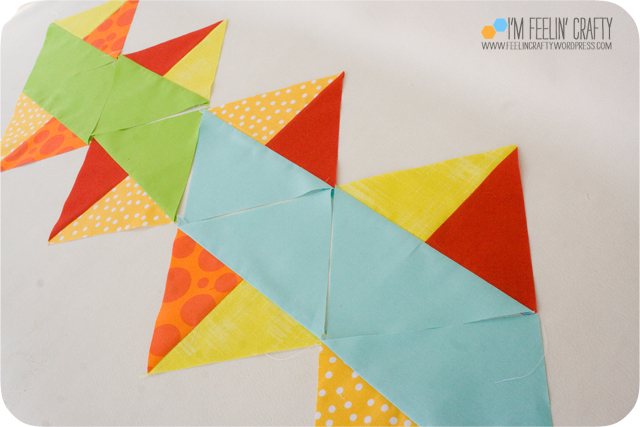 I made mine the same way I made Low Volume, Bright Contrast Crosses quilt blocks! I’m very impressed with how all the blocks blend together perfectly! I don’t know that if I saw this in person, I’d think that 10 people worked on it!! Way to go Dhia! Thanks for another great quilt!